Most of you must be knowing that Tungnath is the world’s highest Shiva temple at an altitude of 12,073 ft. Not only this, but also this beautiful destination is the ultimate trekking paradise for beginners. When you head towards Chopta from Ukhimath, you will get to see some Himalayan peaks like Mandini, Chaukhama, Sumeru, Kedar range etc. You will drive through the lush green valley and can see these great snow covered peaks at distance. I have already covered major details about the place and how to reach in my earlier post. The temple remains open only for 6 months but trekking is on throughout the year. We stayed at Dugalbitha which is 6 kms before Chopta, again a very peaceful place which is far beyond the chaos of Delhi. It was around 10 AM and by that time we were done with breakfast and packed ourselves with woolen stuff as it was chilled weather with temperature of 2-3 degree in day time. On the way till Chopta, we saw fresh snow on the road and up in the mountains, everybody got so happy and excited to start trekking. Like every other place, you can buy trekking stuff from Chopta like Stick, gloves, shades etc at a very reasonable price. Few guides may approach you, but I would suggest not to go for any guide as this is very easy trek and proper paved path is made till Tungnath. We started our journey by ringing bell hanged on the entrance of the path. After hiking for 30 minutes, only one thing we could see was snow, snow and snow. Wowww what a view. I could have never imagined the kind of breathtaking view we were having that time. People started making snow balls and having fun like anything. Mountains and snow will always make you like a kid. We were trekking along with the magnificent view because of the great landscape. More than this, it was damn sunny that even after surrounded by snow, we had to take off our woolen cap, jacket, gloves one by one. Outside temperature was 2-3 degrees but we were sweating hard. That’s the best part of trekking, it will always surprise you no matter how much you are prepared and will always give you new experiences. After 2 hours of trek, you will see uncountable Himalayan ranges, and seriously I mean it. The view is so smooth and unforgettable that you wouldn’t want to take off your eyes from. Also on the left side, there stands Lord of the peaks, Chaukhamba (four pillars). 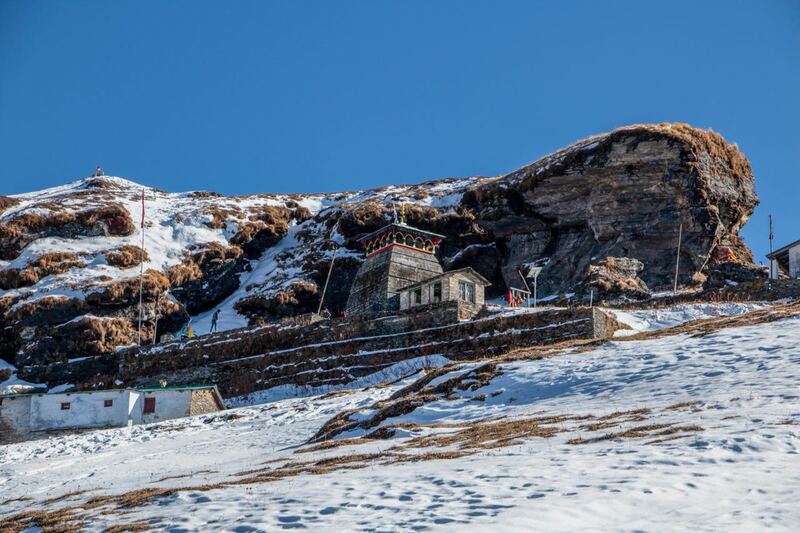 Temple is quite visible from distance, but takes a lot of efforts to reach up there in snow. Its the most beautiful feeling when you arrive at Shiva temple where the environment is filled with peace and positive vibes. Like every other temple, this also has Nandi statue outside guarding the temple. Although the temple was closed, but that time in my mind I had the story of Panch Kedar that how Lord Shiva appeared here in form of hand. We took off our shoes and socks at distance and were running on the snow bare foot just to reach and stand on stone we saw at distance. We bowed down at the feet of temple’s gate and decided to go for 1 round of Parikrama (Circumbulation) around the temple. Again we gathered courage to walk on snow, but this time the ice got sticked to our feet making it more difficult. But finally we did it 🙂 We sat there for around 1 hour and were glorified with the beauty of that place. All the mountains who stood high just couple of hours ago, were actually below your eyes this time when you stand near temple. 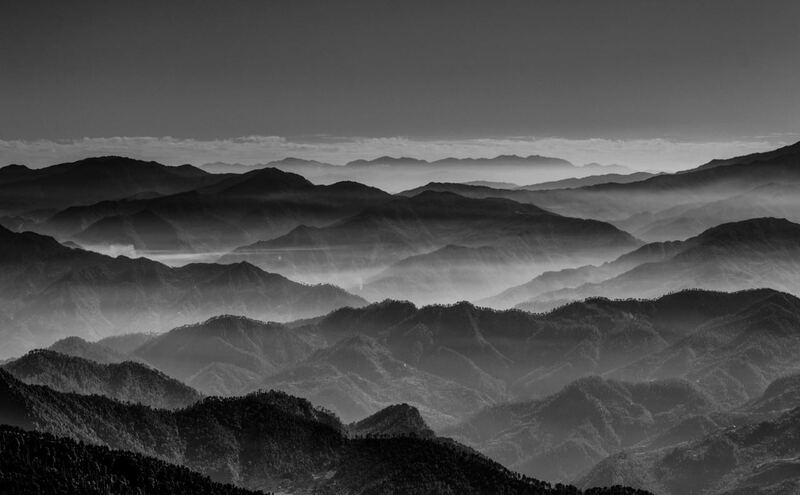 Chaukhamba and other peaks are very clearly visible if the weather is clear. We took few shots of it and planned to descend. We started to come down and then thankfully saw a green land where we decided to take our lunch. We got some Parathas from the hotel we stayed. Our hotel owner said, since this is off season so not even a single shop would be open during trek. He suggested to pack some food and chocolates. Thanks to Dinesh ji, you saved us that day. 99% of the time we had to walk on either snow or ice. We were geared up with regular trekking shoes which were good to go on snow but it was damn slippery on ice. We had to be very careful as everyone got slipped somewhere in between and it could lead to serious injuries. Although we had fun, but I would suggest to buy spikes which can be attached with your shoes. That’s the reason we decided not to go for Chandrashilla because paved path is not made at all and one has to trek on Bugyal which looked very risky. Please don’t expect any luxury kind of stay around this place, as commercialization has still not happened. That’s why beauty is preserved by the local people of Chopta who are actually very good by nature and pure by the heart like every other small hill stations. Chopta is paradise for photographers. As I have told earlier that you will get to see many Himalayan peaks from on the journey. Apart from this, people come here for birding. They spend here good time to capture Himalayan and migrant birds. Just keep your eyes open and look into jungle, you can easily chalk out some beautiful birds which you might have not seen before. Also, red colour Buransh flower (Rhododendron) blooms in Chopta and entire valleys gets painted in red during spring. Overall it was the great experience in terms of the trekking in snow and also reaching to Lord Shiva’s highest temple in the world. This altogether gives the ultimate feeling of eternal bliss. Believe me, going to this place will never disappoint you. Whether it is on season or off the season. Just go and expect the unexpected. I would like to thank my friend Ankit Shukla, for sharing these beautiful pics which he captured in his DSLR. Without you, this blog would not have been possible. Please have a look at his amazing gallery on Instagram. I’m sure you will love his capture of nature and wildlife. 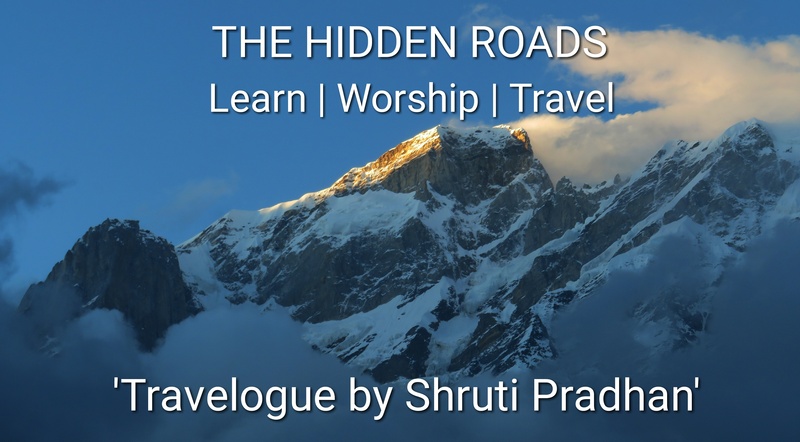 Shruthi your blog is truly inspiring and is motivating me to visit this place…I have put Tungnath on my bucket list of shrines of bholenath that I want to visit! !..Just waiting for the lord lo call me now!! Beautiful Shruthi! I am learning so much about the Shiva temples from you. Never knew about these hidden gems. Thank you for sharing! I am glad you liked it. 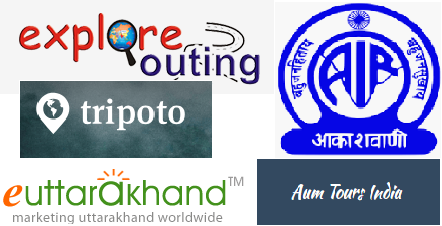 Keep following it, will put blogs on my Kailash Mansarovar Yatra very soon. Shruti … i am glad to read such contented blog on Chopta. its very informative & inspiring. I am planning to Kailash Mansarovar next year … do u have any details ?? Thanks Bharat for your kind words. Yes, I have visited Kailash Mansarovar -The journey of lifetime. I did it via Nepal route. Kathmandu- Simikot – Hilsa – Talkakot – Mansarovar – Holy Kailash Parikrama. It took around 15 days in total. Each and every moment spent in region of Kailash will always be memorable. I will post detailed blogs in some days. Stay updated. Appreciate a detailed description. While reading I felt as if I myself present there. All the best for ur upcoming adventurous pilgrimages and keep sharing. Om namah Shivay !!! Thanks alot Poorna for appreciating and motivating me to go on more adventurous pilgrimages. Om Namah Shivaay!